2016 was a landmark year for India as demonetisation nudged the country towards an inclusive, less-cash dependant, digital future. In 2017, the government should push for the increased adoption of technology to transform the country’s public healthcare system and ensure a healthy future for all Indians. The low priority accorded to healthcare in India over the years has resulted in a vicious cycle of disease, death and destitution in the country. Over 63 million Indians slip into poverty every year as high healthcare costs drain them of their financial resources. In fact, poverty caused by expenditure on health has doubled in India in the past 15 years. Surprisingly, this has happened in a period when India’s economy has grown at an average rate of almost 7% annually. The dual burden of communicable and non-communicable diseases (NCDs) poses a grave socio-economic challenge for the future. It is estimated that NCDs alone will cost India USD 6.2 trillion by 2030. Encouragingly, however, there are clear signals that the Indian government is intent on pushing the healthcare agenda. The NITI Aayog recently launched a ‘Performance on Health Outcomes’ index to rank various states on their performance on measurable health indicators. 2017 could be the year when the government implements far-reaching measures to build a ‘Swastha Bharat’. India has a vast population and thus myriad healthcare challenges. Resource shortages however result in the unavailability of quality healthcare that is affordable and easily accessible. To tackle resource limitations the adoption of Information and Communication Technologies (ICTs) can provide policymakers in India with a very effective tool for improving healthcare delivery. A modern ICT-based universal healthcare system will help leverage modern diagnostics in primary healthcare for early detection and treatment, and telemedicine to bridge the deficit of specialists at the primary care level. They can also be used for cloud based data collection to collate epidemiological and patient centric data to profile and map the disease burden at the level of the smallest administrative unit. Comprehensive data bases and disease registries will enable better evaluation of the incidence and diversity of diseases at an epidemiological level and thereby allow for more effective healthcare interventions. This can, in turn, ensure equitable access to healthcare services of assured quality, safety, efficacy and cost effectiveness to all sections of the society. An ICT-based health delivery model will need strong integration between primary and tertiary care providers. Also, linkages need to be established between health research and national health programs to ensure research findings are leveraged in decision making in public health. 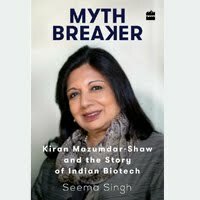 In this context it is heartening to know that the Indian government is in the process of giving final shape to the proposed National eHealth Authority, which will be the nodal authority responsible for development of an Integrated Health Information System (including Telemedicine and mHealth) in India. This authority has been envisaged to support the formulation and management of all health informatics standards for India, laying down data management, policies, standards and guidelines in accordance with statutory provisions, promote setting up of state health records repositories and health information exchanges, and to deal with privacy and confidentiality aspects of electronic health records. The health ministry is already collecting Aadhaar numbers of patients and linking the unique identity numbers to patient records in a few states, according to media reports. The ministry has also notified the standards for electronic medical records and electronic health records in India. India has already implemented a Health Management Information System to capture public health data across the country. Several studies have shown that strategic investment in health systems and the ability to innovate and adapt to resource limitations are among the key attributes that have helped some countries or regions achieve substantially better health outcomes than others at similar levels of development. It is in this context that the adoption of Information and Communication Technologies (ICTs) can provide policymakers in India with a very effective tool for improving healthcare delivery. Utilizing the power of ICT & medical technology into the public healthcare sector government can bring in more transparency, efficiency and accountability that can enable a more effective healthcare system. 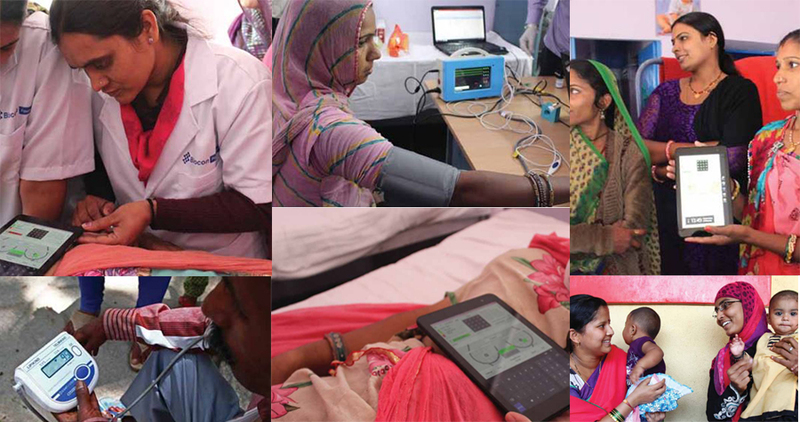 Biocon Foundation, the CSR arm of Biocon, has already leveraged the power of technology to take healthcare services to rural and remote areas. It has implemented the unique eLAJ project to deliver evidence-based healthcare for the benefit of communities with poor access to quality healthcare in Karnataka and Rajasthan. Patient-specific health data are captured on the eLAJ electronic medical record system and linked to an individual’s Aadhar. The Foundation has also implemented a mobile phone based health (mHealth) platform for early detection, prevention and treatment of oral cancer. This comprehensive, evidence based oral cancer screening program facilitates early detection at the doorstep. By empowering the frontline health worker to conduct cancer screening in a low resource setting, this program has ensured that healthcare reaches remote pockets in a cost-effective manner. By linking oral cancer specialists with the rural population through telemedicine, the mHealth platform has created an opportunity for diagnosis, follow-up and referral. I truly believe that technology can solve many of the daunting healthcare challenges that we face as a country.